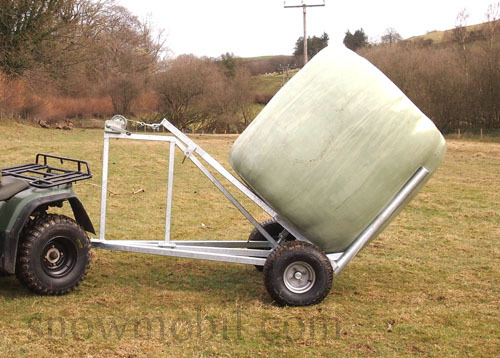 The round bale transporter can carry round bales out of wet meadows and sloping terrain. 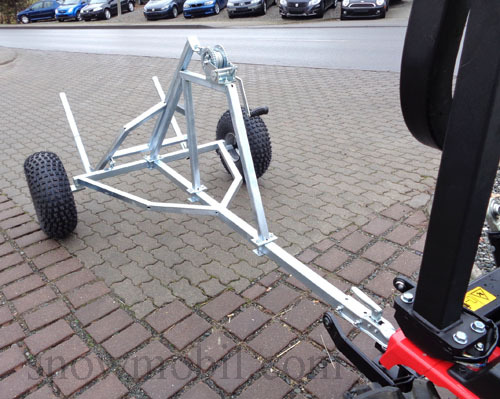 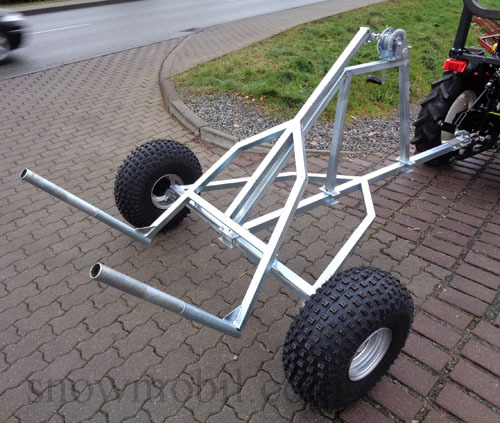 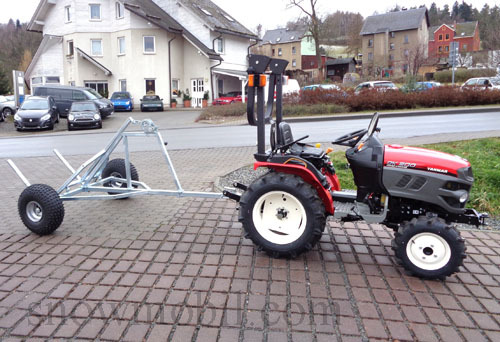 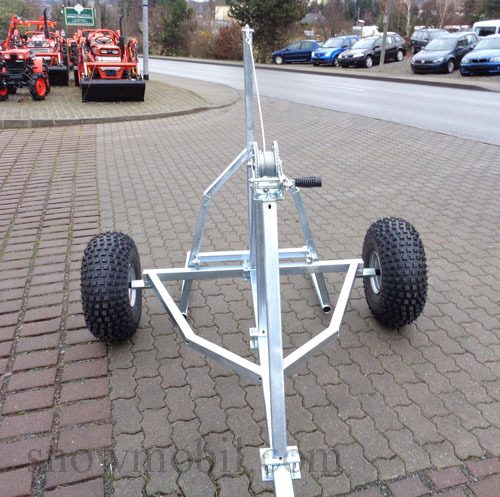 As tractor you can use compact tractors, ATV`s or quads. 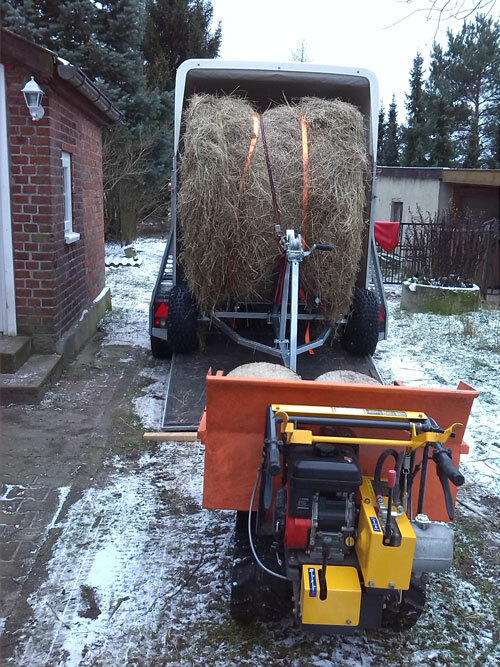 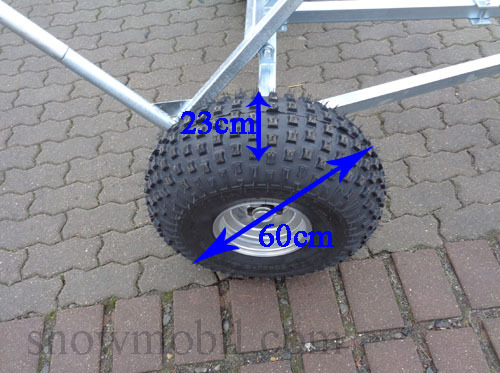 The loading capacity is up to 500 kg. 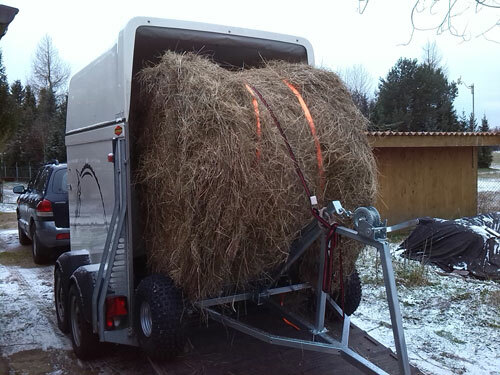 Due to the low pressure wide tires, the soil is protected accordingly. 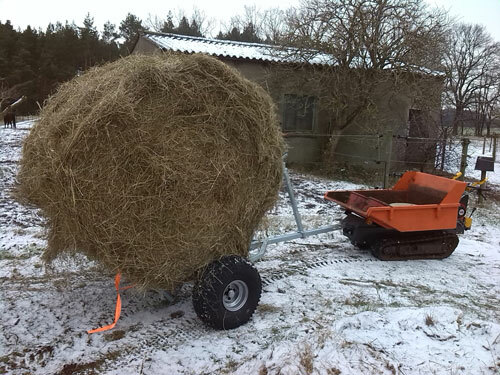 By means of a hand winch you lift the bale and secure it with a tension belt. 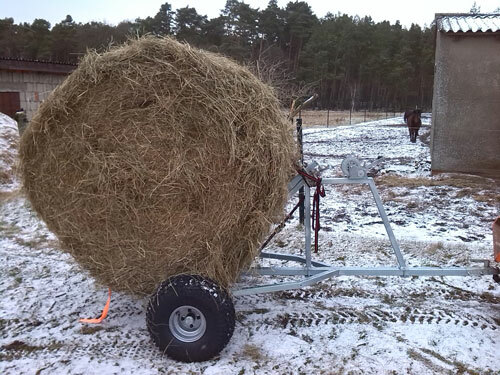 This round bale transport vehicle can not tip over because it is made very wide and low. 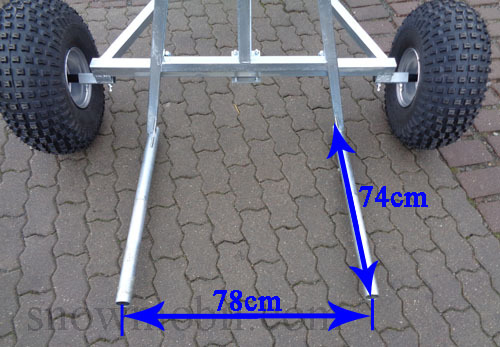 The iron structure is completely galvanized. 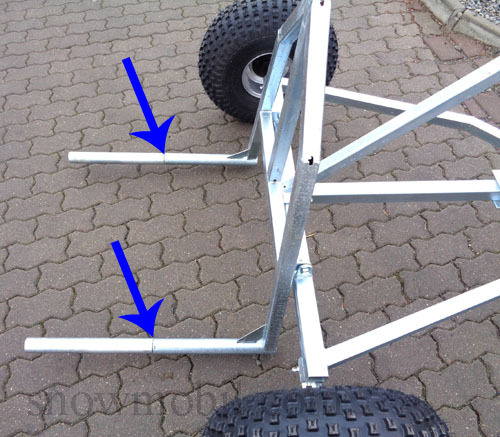 The tubes you can unscrew. 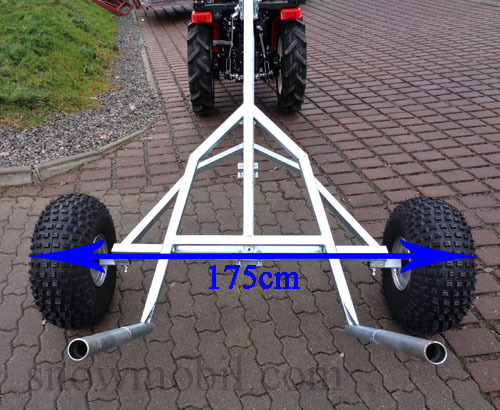 If your bale is too long, then simply plug a longer pipe about the 74cm long tube.